During the Oxfordshire Young Workforce Event in 2015, students worked together to create Codes of Conduct for the Oxfordshire School Games. 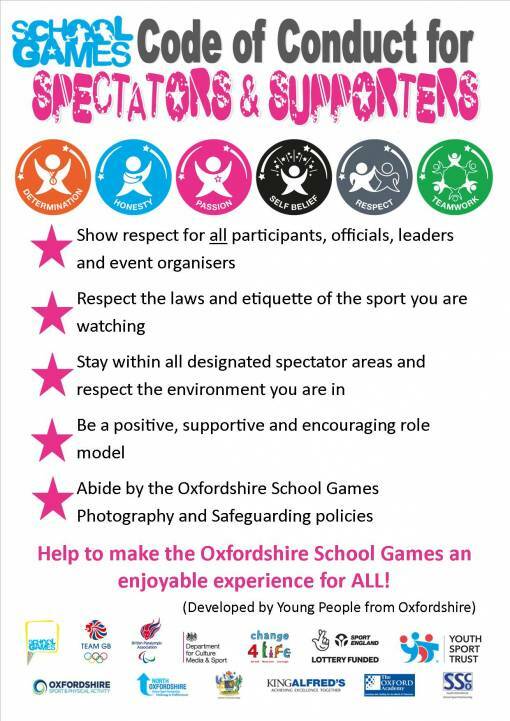 North Oxfordshire School Sport Partnership has adopted the Oxfordshire Codes of Conduct, which will be implemented at all local competitons and festivals. The Codes of Conduct outline the expected standards of behaviour of Competitors, Leaders & Officials, Team Managers & Teachers and Spectators & Supporters - please ensure you are familiar with the codes before attending one of our events.